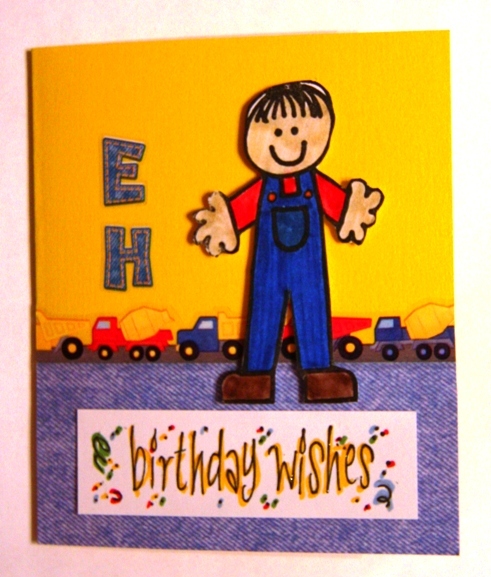 Love primary colors on this card. The little trucks in the background make it look like this little boy is in his bedroom playing. Darling!